With increasing interest in cryptocurrency it's inevitable that cyber criminals will see the potential to make money from investors and users. Threat management company RiskIQ has found that hackers are targeting the Apple, Google Play, SameAPK, APKPlz and other app store users with malicious cryptocurrency apps aiming to steal money and personal data. In analysis of 18,408 apps across 20 app stores, the firm's researchers uncovered over 600 blacklisted Bitcoin-themed apps in total. Monitoring for 10 of the popular Bitcoin exchanges in the app title, RiskIQ found 661 apps to be blacklisted by official cyber security vendors but still available for download by users. 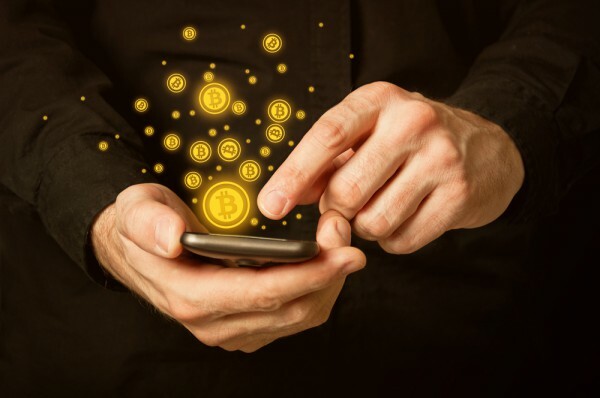 RiskIQ's research shows almost three percent of apps with 'Bitcoin exchange' in the title were blacklisted, as well as 2.6 percent using 'Bitcoin wallet' and 2.2 percent listed as 'cryptocurrency.' Hackers behind the apps, which have been blacklisted by one or more cyber security vendors, can trick users into handing over large sums of money or personal details for financial gain. The top stores guilty of hosting these potentially dangerous apps are Google Play (272), ApkFiles (54) and 9Apps (52). RiskIQ advises anyone considering downloading such software to be extremely cautious and to research apps before downloading. "We are seeing threat actors around the world exploiting what is already a hostile currency in a lawless digital world," says Fabian Libeau, EMEA VP of RiskIQ. "Before handing over any cash or personal data, investors should carry out thorough research into the exchange and wallet apps they intend to use. By checking the developer's name, user reviews and the number of app downloads, investors can measure the validity of an app and be more confident in their choice." You can find out more about the threat on the RiskIQ blog.